Flexible high density continuous monitoring of central head-ends for IPTV, Satellite, cable and DTT networks. 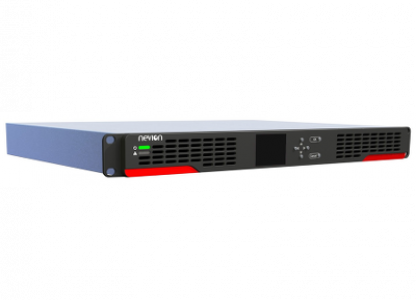 The TNS4200 simplifies error tracking and helps resolving issues faster to ensure higher uptimes. It can continuously monitor a very high number of streams reaching an unrivaled density on 1RU without compromises on the performance. TNS4200 monitors streams on IP/Ethernet and DVB-ASI, offering the required flexibility to operate in different environments and applications. Nevion nSure products can be configured via an easy-to-use web interface and interact with overlaying network management systems. Scheduled software upgrades can be performed via Nevion’s NMS or any NMS.